I know, I should probably call this museum Monday as it seems half my Munich posts are about them. What can I say, I am a museum goer and so are my kids. Not so much because they love museums, but because I do and I want to grow their appreciation of all kinds of art. I have learned to be creative over the years and while my girls are getting older and don't require as much cajoling it still helps if I ask them to point out a favorite piece or to find an animal. Now, I can even ask them to point out differences in artistic styling and how it speaks to them or not. 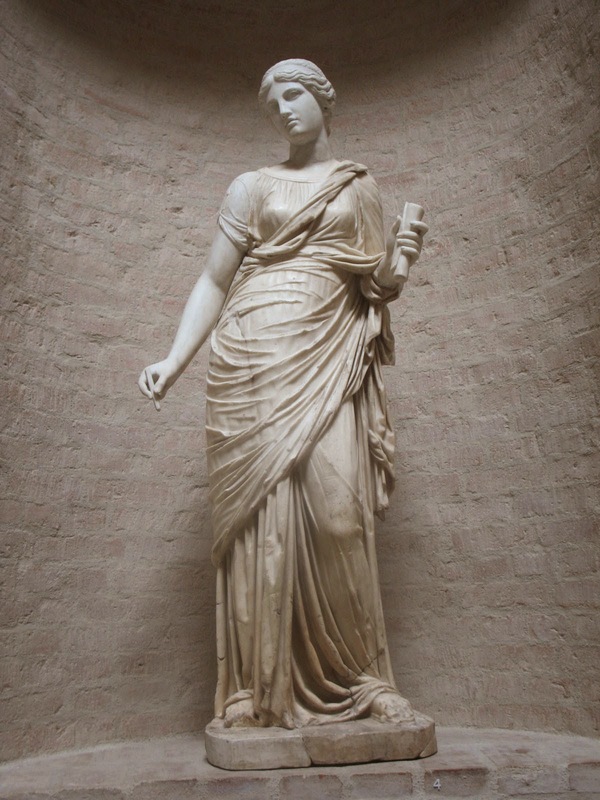 I missed my calling in life by not studying art history at university! 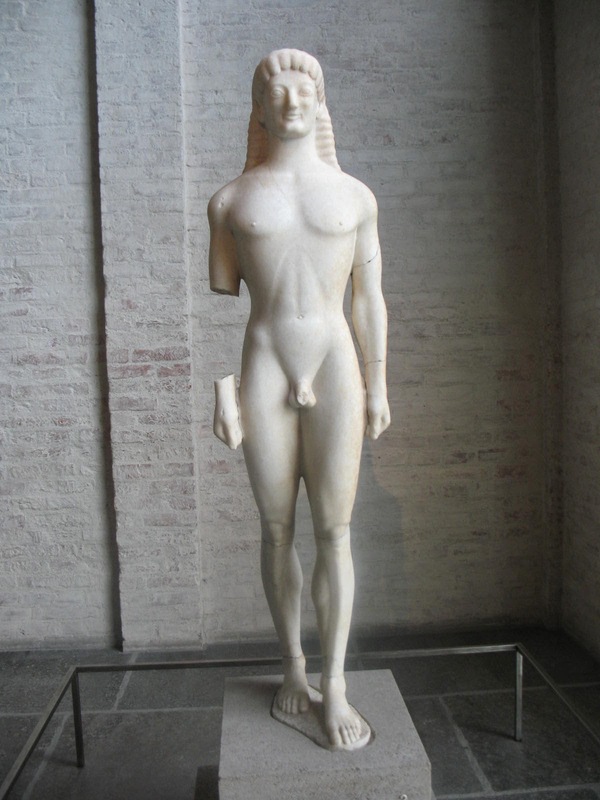 The Glyptothek is dedicated to ancient Greek and Roman statuary. 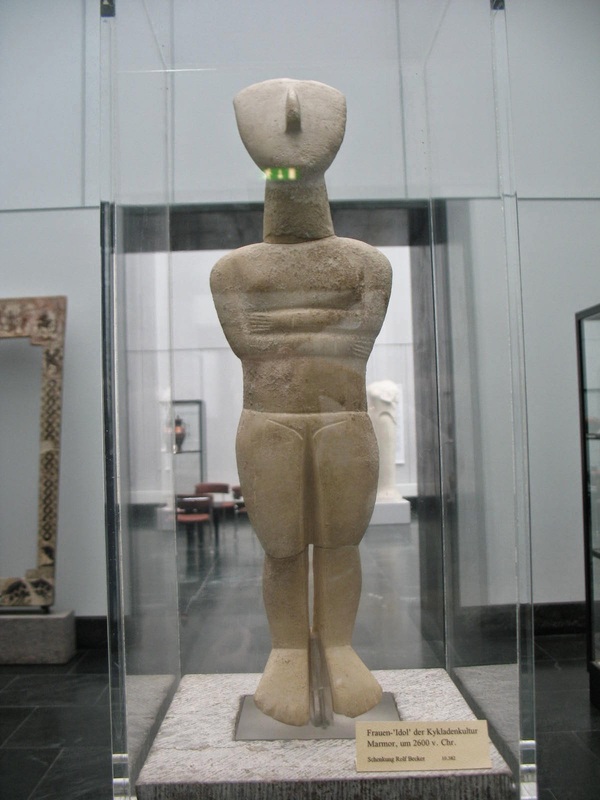 It was commissioned by King Ludwig I in 1816 to house his collection of artifacts. Across the street is a similar building housing the State Collection of Antiquities--the vases, paintings and smaller pieces of ancient art. Both collections are unique and worthwhile. Transportation: U2 Königsplatz, Tram 27 Karolinenplatz or a short walk from Hauptbahnhof. TIP: When you go, notice in the corner of every room there is a black and white photograph of the very room you are standing in. These pictures were taken before the outbreak of World War 2. Notice the patterned flooring and painted ceilings. The museum was unfortunately situated right in the middle Hitler's Nazi Headquarters and was hit during the war. 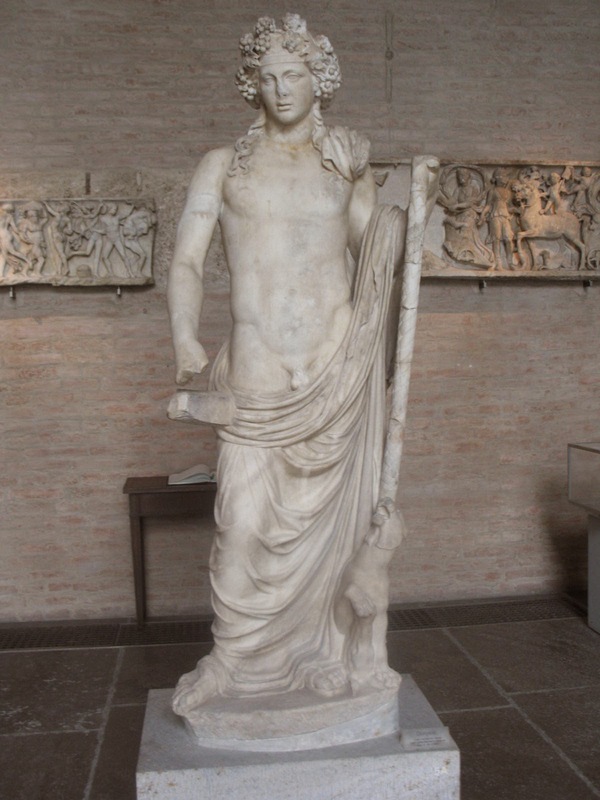 Despite efforts to protect artifacts some pieces were simply lost and the ceiling frescos and floors could not be saved. 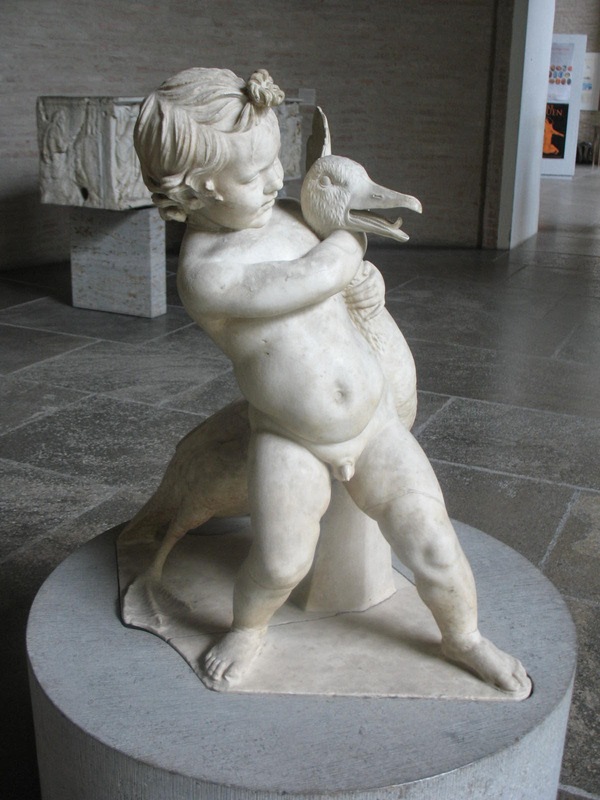 Poor goose, you can just imagine a 3 year old wrestling the creature and unintentionally choking him. I suppose it's not completely realistic as you'd be hard pressed to actually catch the thing and not get bitten in return. Once you've had a look around the museum, the area outside is really quite interesting to wander around. This was Nazi Headquarters! If you walk to the opposite end of the court yard from this gate you will find a large plaque identifying old Nazi buildings. You'll be surprised at how much is still here. 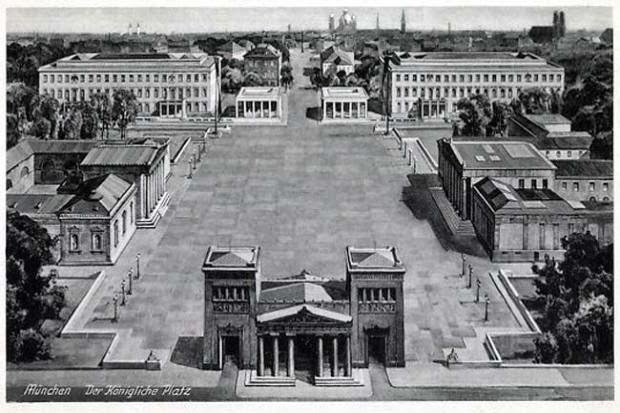 This is a view of Königsplatz before World War 2--Notice the two smaller temple-like buildings in top middle. Only the bases of those survive now and they are over grown with shrubs, but it is here at the one on the left where you will find the sign explaining the history of this once famous Nazi platz. 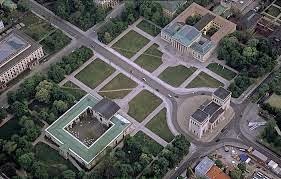 Arial view of Königsplatz today. 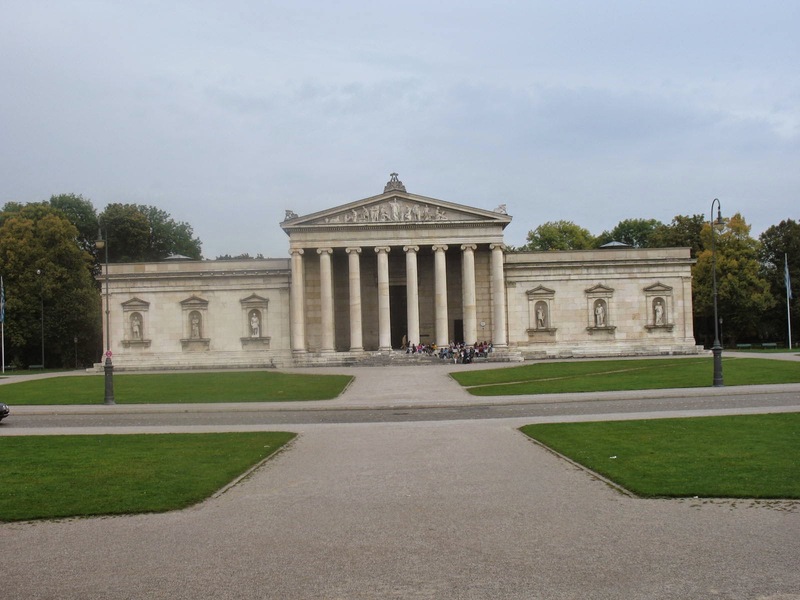 Munich is full of fantastic history and architecture! From Medieval turrets to 20th century history there is something here for everyone. 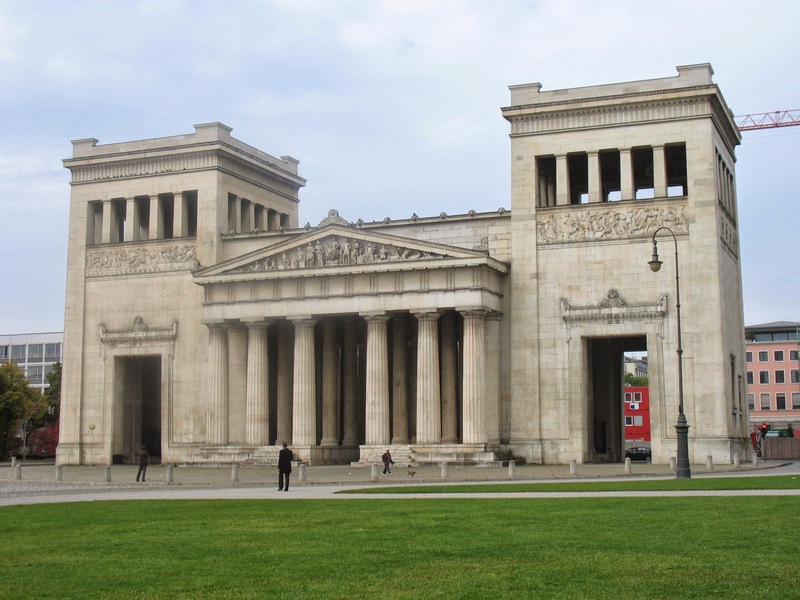 If you want more information about World War 2 sites in Munich and the surrounding area visit Traces of Evil. This website is run by one of my daughter's history teachers. He is passionate about the subject and quite knowledgeable.